YouTube is illegally making “substantial profits” from children’s personal data, according to a group of 23 child advocacy, consumer and privacy groups that have filed a complaint asking the Federal Trade Commission (FTC) to make it stop. Kids are on the platform en masse, the group said, citing a study that found that 96% of children aged 6-12 are aware of YouTube and that 83% of children that know the brand use it daily. For the second year in a row, YouTube leads all 347 cross-category brands evaluated in the BRAND LOVE® study, solidifying its position as the most powerful brand in kids’ lives. The platform’s ascent to the top is impressive, moving from a KIDFINITY score of 749 (and #86 ranking) in 2010 to the #1 brand that is disseminating trends, changing play patterns, and transforming the ways kids come of age. No wonder kids have come to adore YouTube: the Google-owned company has been working hard to get their love and their little eyeballs on advertisements, the coalition says. 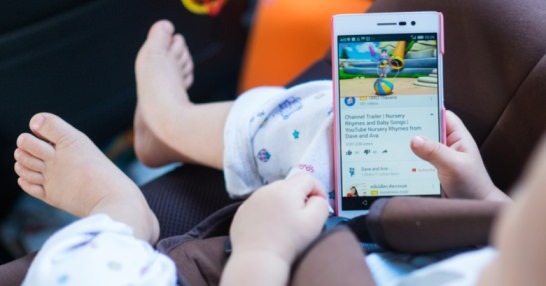 A case in point is YouTube Kids: launched in February 2015, it was designed to be a sanitized place where youngsters would be spared the hair-raising comments and content found on the rest of YouTube. But YouTube recently found itself hiring thousands of moderators to review content on the broader site after nasty children’s content and child abuse videos got through both on YouTube and even on YouTube Kids. Such moderation is not enough, say critics. The Guardian quoted Josh Golin, executive director of the Campaign for a Commercial-Free Childhood (CCFC), which is one of the groups that filed the complaint. For years, Google has abdicated its responsibility to kids and families by disingenuously claiming YouTube – a site rife with popular cartoons, nursery rhymes, and toy ads – is not for children under 13. Google profits immensely by delivering ads to kids and must comply with COPPA. It’s time for the FTC to hold Google accountable for its illegal data collection and advertising practices. YouTube also has actual knowledge that many children are on YouTube, as evidenced by disclosures from content providers, public statements by YouTube executives, and the creation of the YouTube Kids app. The group is urging the FTC to investigate the matter as it is illegal to collect data from kids younger than 13 under the Children’s Online Privacy Protection Act (COPPA). However, this is exactly what is happening to under-13s who use YouTube – the group’s complaint says that Google collects personal information including location, device identifiers and phone numbers, and tracks them across different websites and services without first gaining parental consent, as is required by COPPA. While we haven’t received the complaint, protecting kids and families has always been a top priority for us. We will read the complaint thoroughly and evaluate if there are things we can do to improve. Because YouTube is not for children, we’ve invested significantly in the creation of the YouTube Kids app to offer an alternative specifically designed for children.